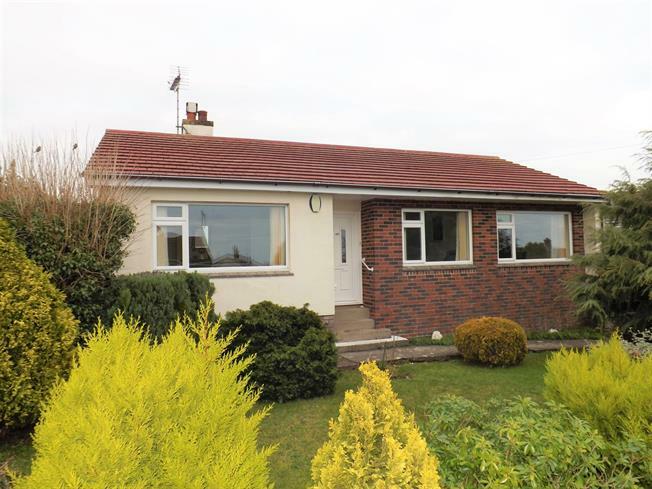 3 Bedroom Detached Bungalow For Sale in Dartmouth for Guide Price £325,000. The accommodation includes an entrance hall, front lounge with sea view, dining kitchen with access to the conservatory and rear garden, master bedroom with ensuite wc and basin. Two further bedrooms and a bathroom. Externally, there are front and rear gardens, an attached single garage and further driveway parking for two vehicles. This property has great potential and offers a prospective buyer opportunities for improvement. It has oil fired central heating.